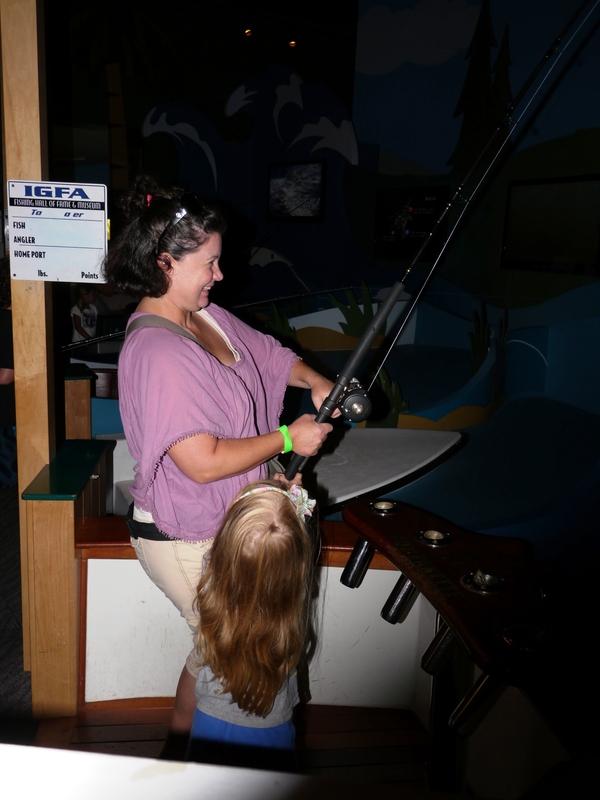 We headed out one morning last summer to the IGFA Fishing Hall of Fame and Museum in Dania Beach. It is right next to the Tri Rail Station, so if your kids like riding the train, this would be great way to spend the day. The IGFA Museum participates (along with many other local museums) in Bank of America Free Museum Day, so we thought we would take advance of this great program to go somewhere we had not been before. We are not a fishing family and I really wasn’t sure what to expect. I just thought it would be an inexpensive morning in an air-conditioned place. It was late July and the South Florida heat and humidity was just more than I wanted to deal with that day. I have to say, I was very pleasantly surprised! This is probably the most high tech, hands on, interactive Museum I have ever been too. It really was way above and beyond! It was super fun, air-conditioned, and it was extremely educational. We hit the trifecta! As you enter Great’s Hall you will be greeted with an amazing site. 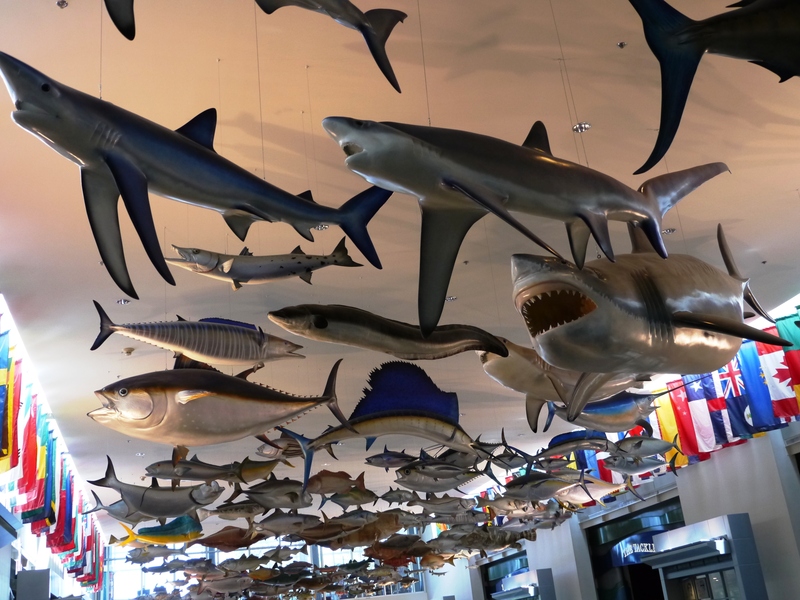 The ceiling is filled with fish and sharks from small to large (well actually behemoth!). Who can help but be in impressed with over 160 species of fish hanging over your head. Educational Director, Jeff Mackin say the great white is always a hit and explains that the fish are true to size mounts of All-Tackle and Line Class records from around the world. The fiberglass and hand carved wooden replicas include panfish, basses, catfish, billfish, sharks, among others. 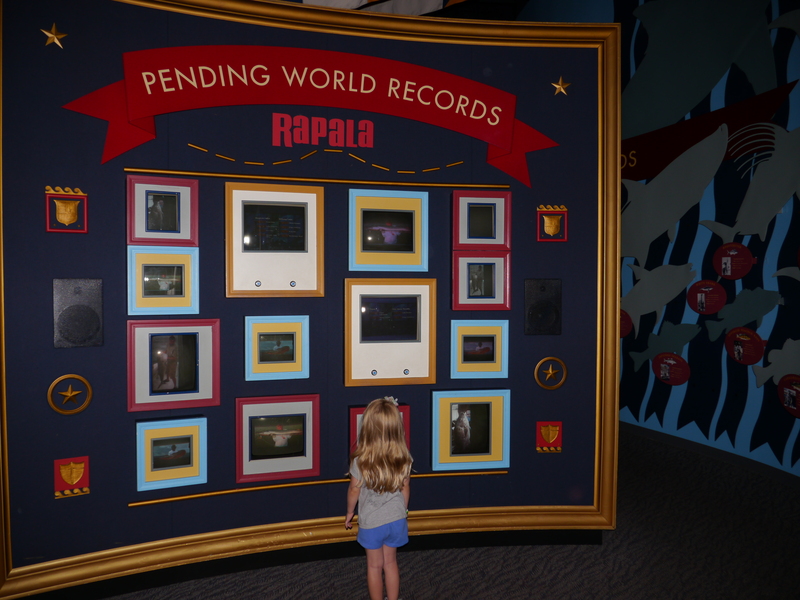 The World Records Exhibit is a huge secti on with loads of video screens and displays that can be used to look up world records. For me this was my least favorite section, but I know many of my fishing friends and their kids would love it! The information gathered and displayed here is massive in scope. It is laid out in beautiful designed exhibit displays. The Fish is of my favorite section and includes detailed exhibits about ecosystems and biology. This is a great area to get a look at how the plants and animals all work together to keep the environment healthy. It would be an incredible supplement for any educational group or scout troupe. 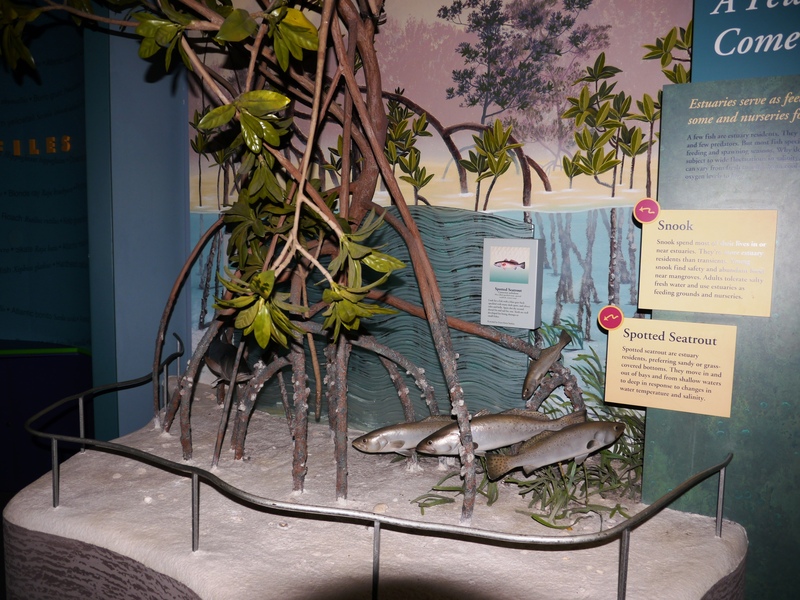 The unique ecosystems found here in Florida are so important and this exhibit helps to demonstrate how they work together in our own backyards. There is a small kids Discovery Room area with a boat to climb in, the fun thing here is the fish print rubbing station. 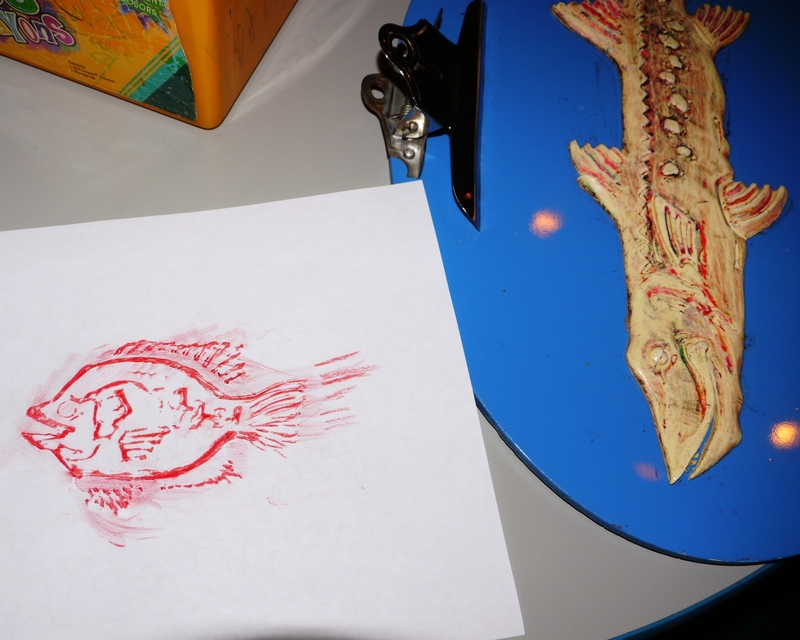 There was at least 15 different fish for the kids (and adults like me) to rub prints with crayons. The Wii fishing game is a pretty big hit too. The Tackle Exhibit includes table where you can practice tying knots. Surprisingly, I couldn’t get my family away from that area! Everywhere you look there is some sort of hands on activity.The museum is filled with interesting items, every kind of fishing gear that you can imagine. Some much bigger than I ever dreamed. Don’t forget to check out The Catch game room! This room houses High tech virtual fishing games where you can actually feel how hard some of the big fish pull while watching the action on a big screen. Last but certainly not least is the incredible Wetlands Habitat recreated outside. This four acre wetlands area is complete with alligators and all kinds of birds. As you walk along the boardwalk you will enjoy an education in Florida’s diverse species of plants and types of wetlands. It is a retreat right in the middle of the city! Don’t forget to pick up a packet of fish food when you enter the museum so you can feed the fish in this areas. What mom, uhem I mean kid doesn’t like to feed fish? I want also to give a shout out to the youth volunteers who were working that day. These young people are a credit to the museum and were extremely helpful! 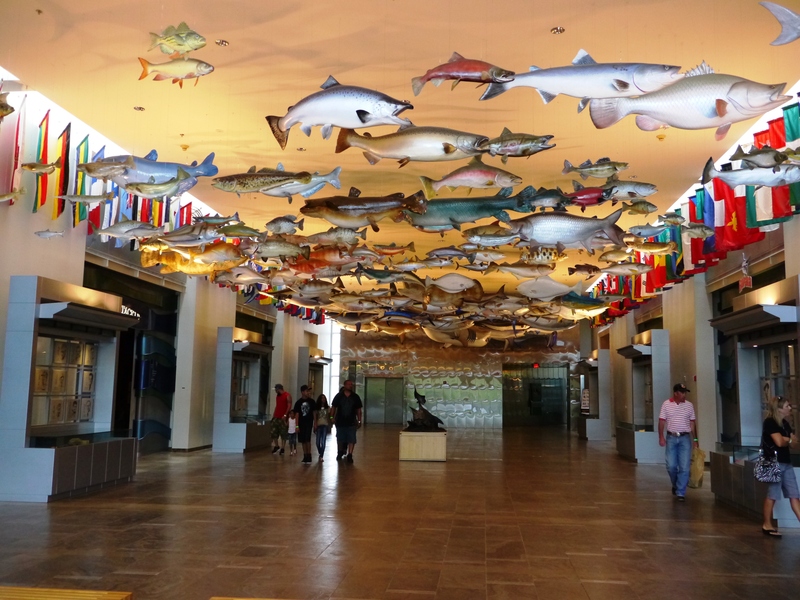 IGFA Fishing Hall of Fame and Museum is definitely on my Summer Pick list. Adults are $10 and Kids and Seniors at $5 which is very much a bargain! Call for Prices and Hours. 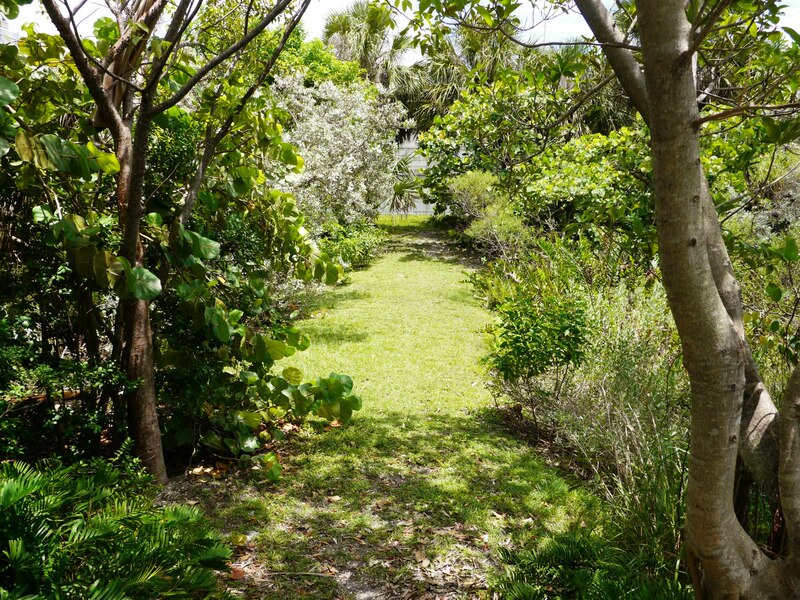 This entry was posted in Events and Reviews, Florida, Museums, Summer Picks, Uncategorized and tagged Dania Beach, Ecosystem, Ecosystems, Fish, Fishing, Fort Lauderdale, Hall of Fame, Museum, Nature Education, South Florida, Wetlands by Cynthia Buckley. Bookmark the permalink.